Jiufen is the inspiration for the Miyazaki classic Spirited Away. Pingxi is where Taiwanese people go to send their wishes into the heavens. Create and launch your sky lantern. Our tour guide Amanda gave us very nice suggestions. The Jiufen town is antique with yum food. The waterfall is grand and the experience with Sky Lanterns in Pingxi is amazing. Highly recommended. All places we went are amazing, able to land me a lot of cultural and historical background of this place. Jessica is very adorable and passionate, giving us chances to explore places that few people have been to. I had a wonderful time at Jiufen and Pingxi. Summer was a wonderful tourguide. She was really happy with what she was doing. Transportation was comfortable as well. Summer made sure we were all comfortable and well informed. I already recommended this tour in my blog site and to my family as well. Will definitely recommend your company to my friends. We had a nice time with Ting, Kylie and Iris. (We were a group of 15). Thank you so much for making out trip memorable and fun. Highly recommended and will book again next time. Fantastic tour! Well organised. Meeting place easy to find. Tour guide JC was fun and informative. The restaurant he recommended to us in Jiufen had a spectacular view of the ocean. It was not very obvious from the main entrance but we were taken to the third floor and the view was just lovely. The food portion served was huge. So might be a good idea to share. We had to waste good food as we did not expect the amount of foods involved. We had fun making our sky lantern in Pingxi. Also the retired miner was very informative. Would have been nice if we know Chinese or he speaks English. Thanks to the driver also for dropping us off Taipei 101 tower. Highly recommended and will book again next time. The tour was relaxed and enjoyable. JC was a terrific guide. Our kid enjoyed the making of the lanterns. And we had the best bubble tea at Ping Xi! Great package! Tour began at 10am and ran until app. 6pm with drop-off at participants and #39; hotels. Jiufen was incredibly packed with tourists, but that seemed to be part of the draw: seeing how many people fit in the windy narrow streets. Releasing a sky lantern was a fun, unique experience. We had a fantastic day with our small group of 5 people on this tour. On the way to Jiufen we saw the 2 colour sea and a beautiful waterfall then walked through the famous Jiufen town and tasted some local food and had lunch with a beautiful view. Drove to another amazing waterfall and short walk then onto Pingxi for the lantern release which was a unique experience,especially when the train comes through! Train ride to Jingtong and a walk through the old quaint station shops then headed back to Taipei.We were lucky to have Laura as our tour guide who was so friendly and did a wonderful job.I Highly recommend this tour. This was a lovely tour of Jinguashi, Jiufen and Pingxi. We had to weather the patches of rain, but Billy, our tour guide was very friendly and accommodating. First stop was Jinguashi, where we got to meet an 80 year old retired miner ah-bei who was a local resident and native of Jinguashi. Learning about they glory days of Jinguashi's gold mining industry and exploring Jinguashi with the ah-bei was very insightful. He gave us insight on how the area had changed throughout the decades. It was a very thoughtful and personal touch to the Jinguashi experience. I really enjoyed meeting the ah-bei. If I had a suggestion, it'd be to help smoothly translate the Taiwanese to English between the ah-bei and non-Taiwanese speakers. Second stop was exploring Jiufen, which is fun as always. Third stop was Pingxi. The sky lantern making class was such a fun experience. I really loved this part of the tour. The class was taught by a local elderly couple of Pingxi who have had their sky lantern class making shop for multiple generations. It was nice to learn from the ah-ma who taught us. If there was a suggestion I had for this part of the tour, it would be to allow us to decide if we wanted to make our own lanterns or to buy ready-made lanterns so that we could explore the rest of Pingxi. Leaving immediately after the sky lantern making class was a bit wanting and it would have been great if we could have an extra 15 to 20 minutes after the class to look around Pingxi. Otherwise, this was a lovely tour and highly recommended if you wanted to spend a day around Jiufen and Pingxi. Great tour but very rainy. Would have been even nicer if the weather would have been better. Nobodies fault Kelly the tourguide was funny and very entertaining. Great personality. Loved the places we visited, the waterfalls, Jiufen, Grandpa a former employee of a Japanese mining company in Jiufen, then of course Pingsi were we made our own lantern and let it fly. Would do this tour again and highly recommend it. Uno dei tour giornalieri più intensi e originali, tantissimi i posti visitati e vissuti. Guida professionale, simpaticissima, disponibile e attenta. Giornata bellisima! One of the huge highlights of my trip. If you splurge on a tour while in Taiwan, this one is worth it. Nice small group that all spoke English. The lanterns were exciting to set off even during the day time. Jiufen was great and our guide led us to all the good cheap places to eat. Definitely worth the money as you have a air-conditioned van that will pick you up and drop you off. Tour started at a reasonable time and we returned just in time for dinner and night market activity. Our guide Tina was so great. She was enthusiastic and I enjoyed everything she talked to us about when going to Pingxi and Jiufen. She was genuinely excited to show us around and was very helpful explaining and giving us recommendations on what to eat. I think she really made the tour. Absolutely fabulous. Claire and Mark were the best! Was the best tour ever. Tina provided us an excellent tour of Jiufen and Shifen. The tour was actually more than I expected. Definitely a must go if youre a solo traveller who wants to cover lots of places in one day! If you want a day full of variety then I recommend this tour. Beautiful scenery of greenery and sea together with the hussle and bussle of a very busy Jiufen. Releasing the sky lantern was also a really cool experience. Our tour guide, Steven was very helpful and efficient - making sure we covered everything in the itinerary. My husband and I really enjoyed this tour, it was our favorite day from our Taiwan trip and well worth the money! We had our 8 month old son with us and Viator provided a car seat and were very accommodating to our family. Our tour guide, Tina, was extremely kind and knowledgeable! Our only suggestion for this tour would be to think about adding an hour, as some areas felt a little rushed, but definitely not a deal breaker. Two friends of ours recommended this tour and we will definitely recommend it to our friends as well. I did this tour today with my 3yr & 5yr old girls... Ms. Claire (our guide) & Mr.Young (our driver) we AMAZING!!! We had the best day, saw all the sights & had so much fun. Claire went above & beyond & is one of the best tour guides I have ever experienced! This tour is a must if you come to Taipei... it is so beautiful & a once in a life time experience. I would definitely book with this company again! They have fantastic customer service & great prices for the tour you receive. Overall it was a Win/Win in every way. 5+ stars!!!!! LOVED LOVED LOVED THIS TOUR!!! Definitely a MUST for everyone traveling to Japan! This was literally everything I had hoped for and more. One of my friends from Taiwan mentioned taking a tour for these cities would be a good idea because it could be difficult to get to "on your own". We were picked up by a comfortable 8 seater van and they provided water bottles for us. The van even had wifi (ooo lala)! Jiufen's old street is GORGEOUS and we were pretty much able to find 100% of our souvenirs here for an amazing price. We LOVE mango and Jiufen's old street had plenty to offer us (*drooling as I think of it*). There are also plenty of super fun, delicious, cheap lunch options available throughout the street . Pingxi is where we released a sky lantern into the air (like the disney movie Tangled), but we did it in a rustic town on a train track; bucket list check. There were some other sites on the way to Jiufen that were super fun such as Shifen waterfall (the Niagara falls of Taiwan), the Yin-Yang sea, and a temple on a mountain that were all beautiful and incredibly worthwhile to visit. I also have to give a shout out to Jett Lai! He was SO nice and knowledgeable; It was a pleasure to have him as our tour guide in this amazing experience. 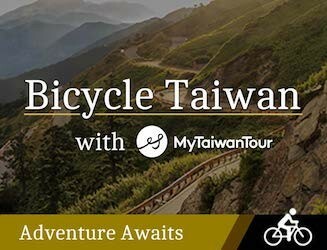 I HIGHLY recommend this tour to anyone traveling to Taiwan! I recently went on the day tour to Jiufen and Pingxi with my girlfriend. We originally thought the tour was a mini-group but when our guides Shaun and Steven picked us up we were informed it would be a private tour. Both Shaun and Steven were simply amazing. They provided us with an in-depth insight of the areas, cultural knowledge, showing us local foods and even went out of their way finding our sky-lantern when it fell out of the sky. Jiufen really did live up to its' name of being the Santorini of Taiwan and we were simply blown away by the whole experience. We highly recommend this tour to anyone that has a day to spare in Taiwan as Jiufen and Pingxi are both two areas that should not be missed. Once again, Shaun and Steven were both simply outstanding and we cannot thank them enough for the day they gave us. I had a totally great day in Jiufen and Pingxi even though it rained because of the typhoon. And thanks Bill so much for your caring and your knowledge (especially the beef noodle part :)) We thought we weren't able to release lanterns and even Shifen waterfall but we made it and it was unforgettable. I will recommend this tour for my friends and hope to go with you guys next time when I travel to Taiwan again. Our family of 3 were picked up punctually at 10.00am from our hotel by our guide Steven. He is very knowledgeable about the places we visited. I found him very patient, helpful and polite. He even shared with us a a short history of Taiwan on the way to Juifen . I would highly recommend him to anyone visiting Taiwan. It was a cloudy and rainy day, but our tour guide, Fiona, was exceptionally professional, cheerful and did an amazing job of making this tour awesome. Despite the lack of energy coming from the tour group, she still kept giving out such positive energy to everyone. It felt a little rushed towards the end but this was out of her control as the weather and slippery roads slowed down the trip a bit and had to stay on schedule. And of course, Pingxi, Jiufen and the Sky Lantern was a beautiful experience. Although I dont consider myself to be very spiritual, "spiritual" is the only word that comes to mind to describe how special visiting these places were. Ill continue to look back on this trip for years. Thanks Fiona! This is a wonderful tour to visit some of the beautiful places at the northeastern part of Taiwan. Both the driver and tour guide Sandra were excellent. It would have been quite difficult to travel to all these places in one day on your own, but this tour not only make it hassle free but enjoyable too! The waterfalls were beautiful and Jiufen old street is a place where you could find many interesting snacks and souvenirs. Though it was raining quite heavily for the whole trip, we could still visit all the places. My Taiwan Tour was kind enough to provide us with umbrellas. Pick up and drop off service were also excellent too. Would highly recommend this tour! 590 people have browsed this in the last week.